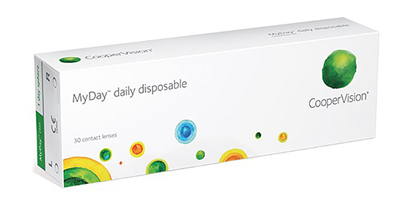 MyDay contact lenses are the latest daily disposable silicone hydrogel lenses from Coopervision featuring a unique chemical structure called Smart Silicone(stenfilcon A). 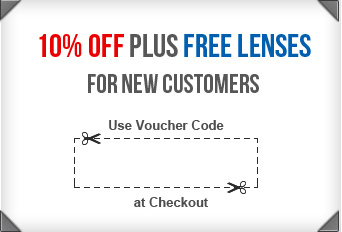 They are perfect for those seeking maximum comfort, but don't want to sacrifice clear vision. 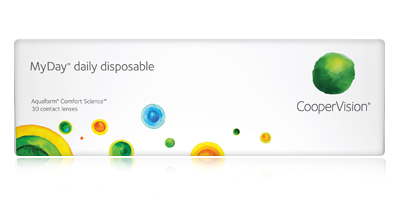 MyDay contact lenses are designed to keep up withtoday's lifestyle. Smart Silicon chemistry provides the lens with optimal levels of oxygen for long-lasting comfort. The Smart Silicon technology allows a high water content of 54% which enhances comfort and reducing the need for surface coating whilst keeping eyes healthier and whiter. It also allows the lens surface to be strong and healthy, reducing the likelihood of tears, yet easy to handle and soft on the eye. 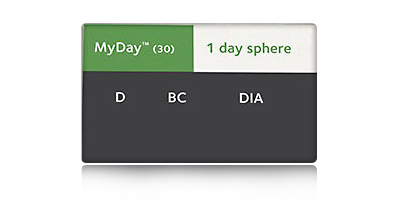 MyDay contact lenses help protect eyes from the sun with a special UV filter that blocks up to 85% of UV-A rays and 96% of UV-B rays.